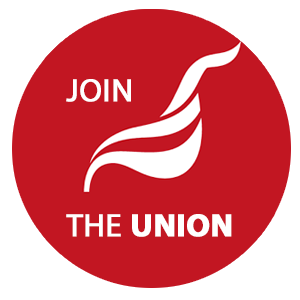 Unite is holding elections for the positions of General Secretary and for members of the Executive Council. Voting starts on March 27th. We discussed the election at a recent branch meeting and agreed to nominate Len McCluskey as General Secretary candidate and a number of candidates for the Executive council including our own branch secretary, Suzanne Muna. In our branch discussion, the likelihood that political forces on the right of the Labour Party would atempt to influence the election. Following decisions of our elected executive and delegates to our last policy conference Unite has supported Jeremy Corbyns' anti-austerity stance. During the election period, Gail Cartmail is acting General Secretary and oversees the election process. Responding to the claims made today (Monday 20 March) in the national media by Tom Watson MP, deputy leader of the Labour party, Unite’s acting general secretary Gail Cartmail said: “Tom Watson has made claims about Unite and its general secretary Len McCluskey which are entirely inaccurate. “As Unite has made it clear it is exclusively for our executive council to determine which organisations we affiliate to. There are no plans for Unite to affiliate to Momentum. For the record, Len McCluskey has never met Jon Lansman to discuss this or any other matter. “It is extraordinary that the deputy leader of the Labour party should interfere in Unite’s democracy in this way, and it is very disappointing that he was allowed to make his unsupported claims without being challenged, and that the BBC ignored the Unite statement with which it had been provided well in advance. “Mr Watson’s latest, and misguided, campaign is part of an unprecedented pattern of interference in the current Unite general secretary election by elected Labour politicians who should, frankly, be concentrating on their own responsibilities. Unite has complained to the BBC Radio 4 Today programme that the statement the union provided in good faith last night was only used in part and following representations from the union this morning. The union has also complained that Mr Watson was allowed to make his extraordinary claims about Unite and its general secretary without being subject to any demand for evidence.